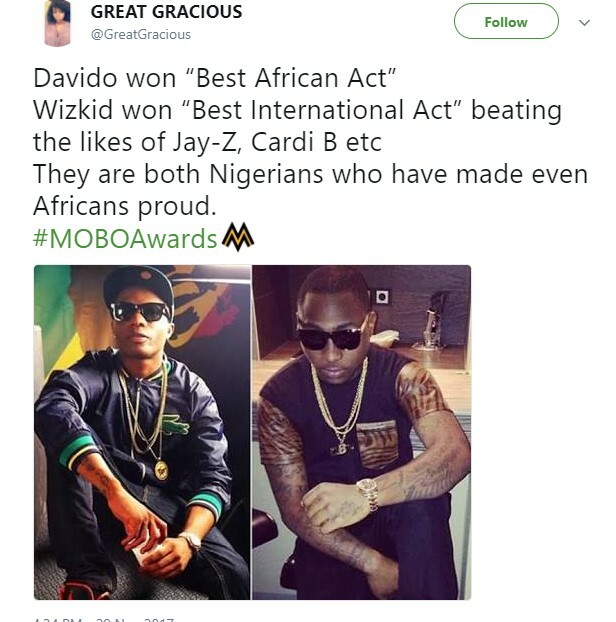 Nigerians are yet to take chill pill on their twin-stars, Davido and Wizkid that has made the country proud. 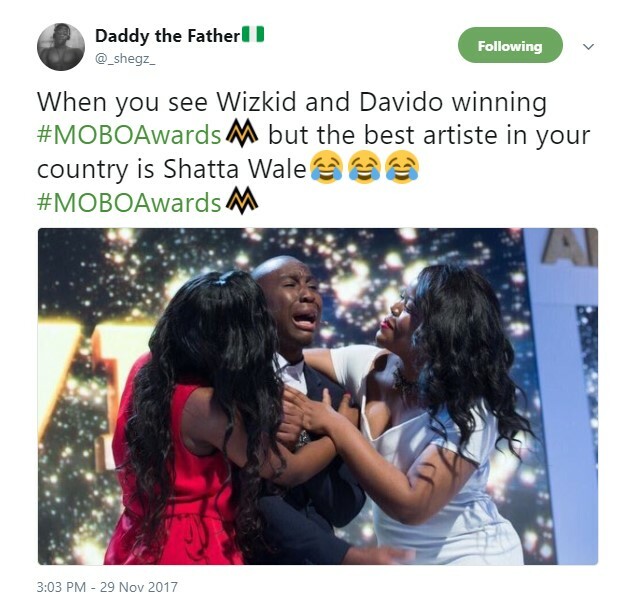 Although both stars are like Ronaldo and Messi (Hard Work and Natural Talent), they seems to be outstanding world-wide. 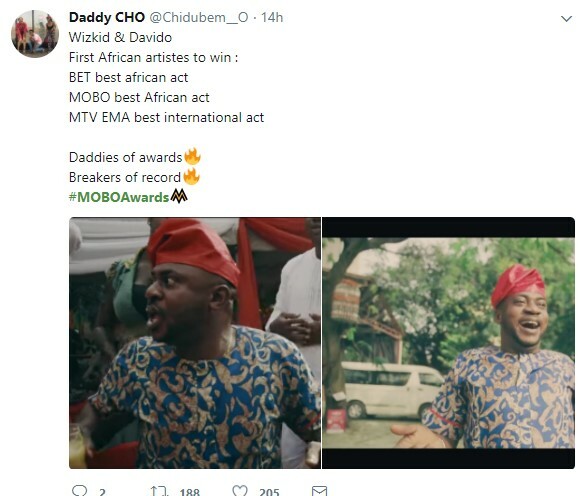 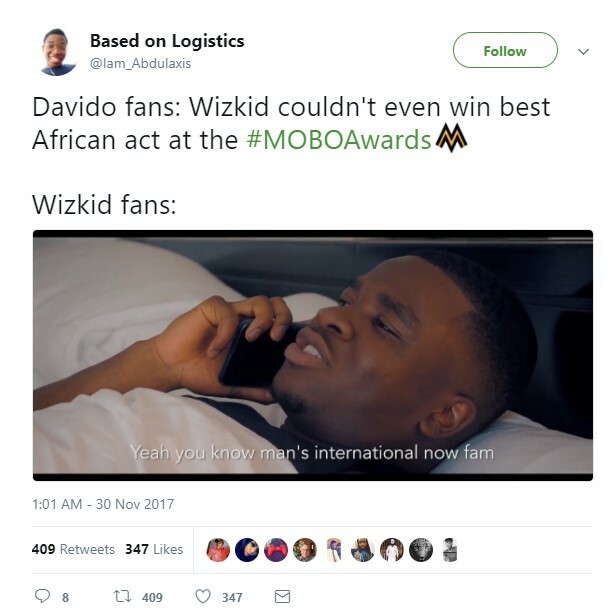 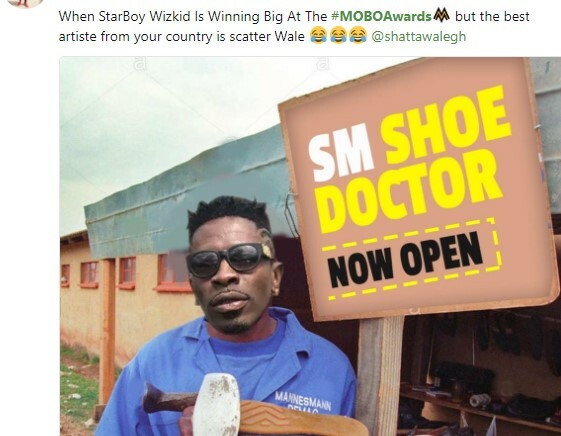 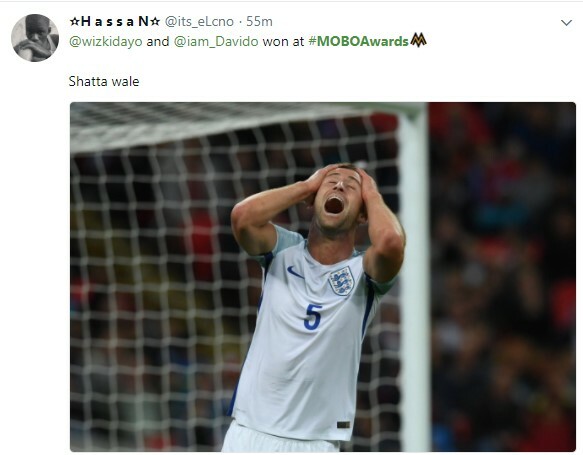 Wizkid Beats Jay Z, Drake,Cardi B, To Bag Best International Act At MOBO Awards while Davido Bags Best African Act At MOBO Awards. 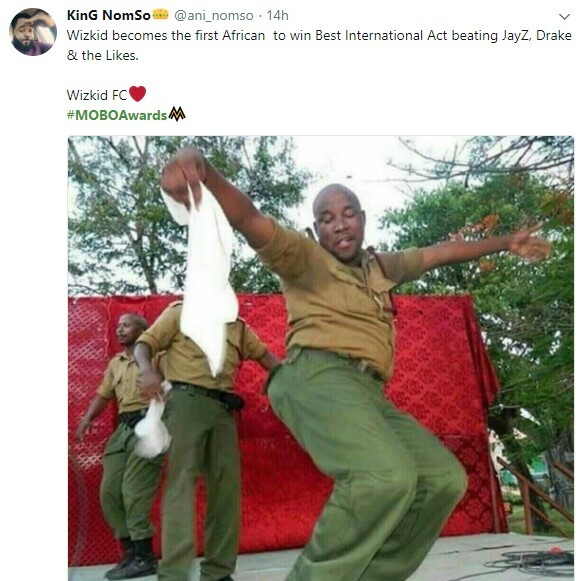 (Click Here to See Full List).